This past week, Instagram added a new feature that allows users to find out when their friends or family last signed on to the app. This will allow you to keep tabs on people you follow or have sent messages to in the past. 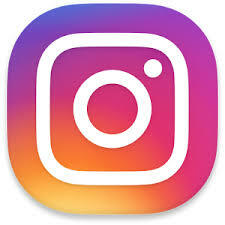 This new service is activated by default; meaning without your prior knowledge, all of your connections on Instagram can now see the last time you opened the app. This feature is already present on WhatsApp and Facebook and now we have it on Instagram. If you don’t want your followers, or family members to know when last you logged in, you can disable the feature. 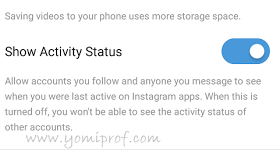 Note : Once you disable the Activity Status feature, your friends and family won’t be able to track your instagram usage and you too won’t be able to track theirs. >>Scroll down to Settings and toggle the switch next to Show Activity Status . This will turn the feature off and allow you to browse in peace as often as you like. In case you want to know how to have unlimited followers in Instagram or have any question kindly make use of the comment box.